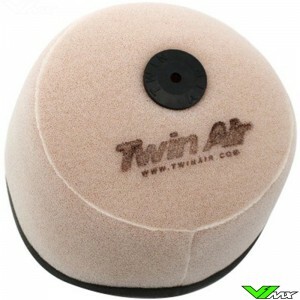 A Twin Air air filter is designed to provide the best filtration and superior airflow. These air filters are produced in the Netherlands, to guarantee optimum quality. 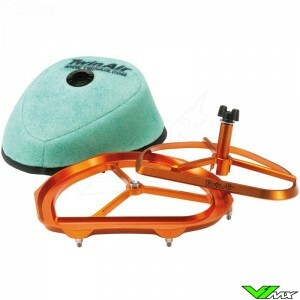 V1mx has filters for all major dirt bike brands, use the partsfinder to filter products for your bike model. 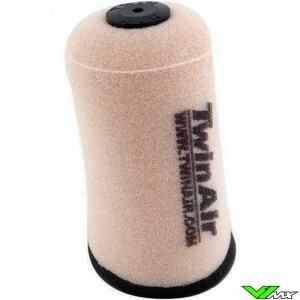 The Twin Air filters are designed for the toughest conditions. 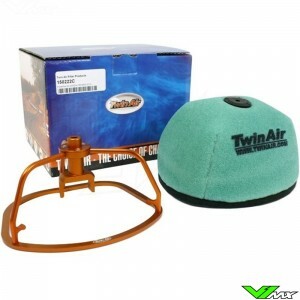 It offers engine protection that you can count on, even with fine sand and dust. 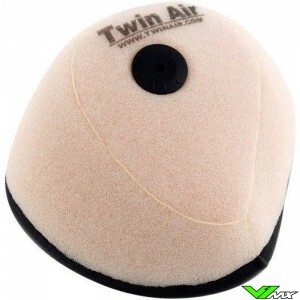 The superior technical characteristics are what makes the Twin Air air filters so good. 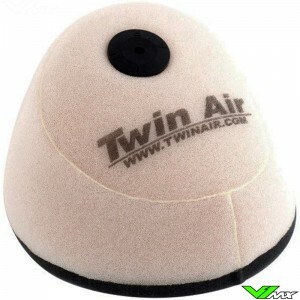 Each Twin Air air filter is made up of two layers with open structure foam which are connect to each other. 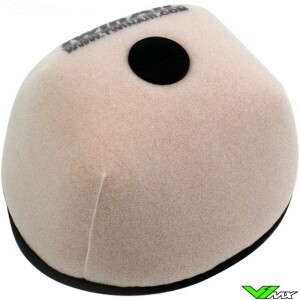 The outer layer is made of coarse foam for collecting the larger pieces of dirt and sand. 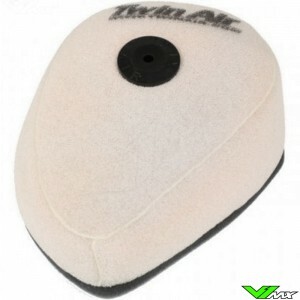 The inner layer is designed to absorb the smallest particles. The edge and end of the filters have a thick wall. This ensures better connection with the air filter box, so that no air can slip past. 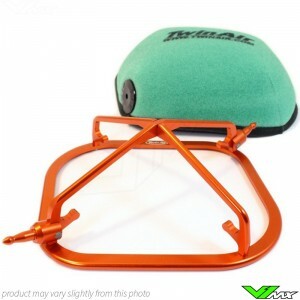 The result is a functional and durable air filter that protects the dirt bike engine. 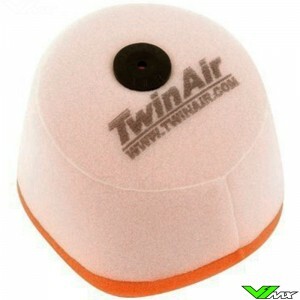 Twin Air air filters are also designed to improve the air volume around the filter. More supply of air to the engine means more power. 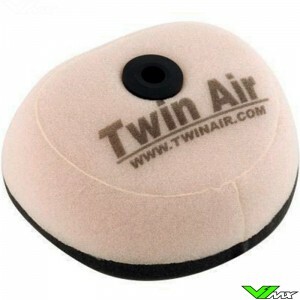 Tests have proven that Twin Air air filters provide improved airflow, while the risk of clogging is smaller. 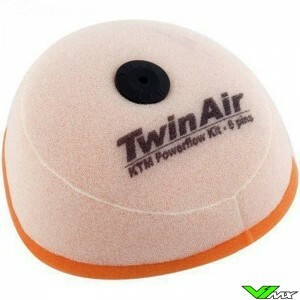 For optimal operation of the Twin Air air filter, it is important that the air filter is used and cleaned correctly. Before a new air filter can be installed, oil must be applied first. 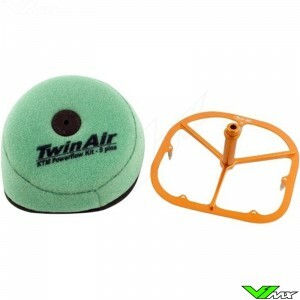 The Twin Air air filter oil is designed to stick tot the foam. Dirty air will flow through the filter, while dirt and sand particles will stick to the oil. 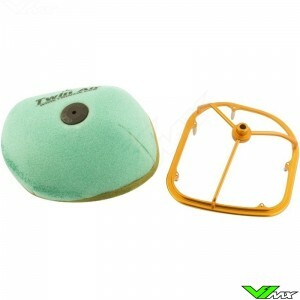 After riding, the air filter must first be cleaned before you can use it again. 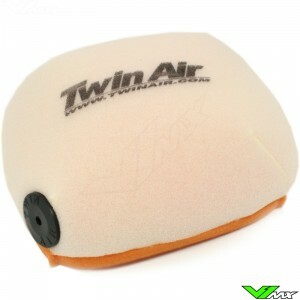 Twin Air has developed the liquid dirt remover to make cleaning easier. 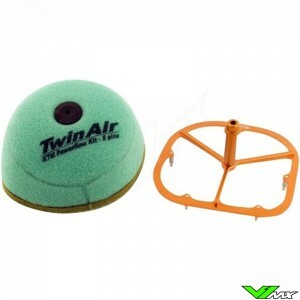 This cleaning liquid will easily penetrate all corners of the air filter. 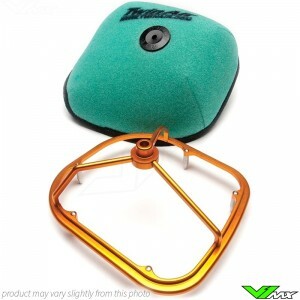 It loosens dirt so that it easily rinses. 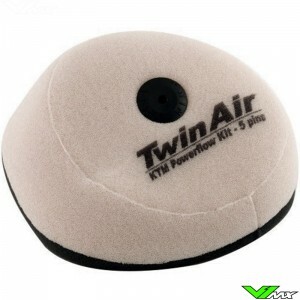 To make the air filter maintenance easier you can buy the Twin Air air filter kit. 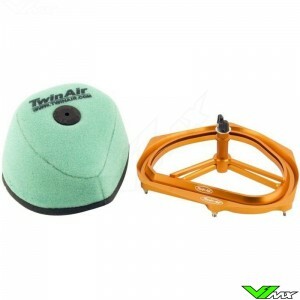 This kit contains the liquid power filter oil and twin air dirt remover. You also get two handy buckets for cleaning and oiling the air filters. The cleaning bucket has two racks which help during cleaning. The first rack can be used to prevent the air filter from coming in contact with sand from the bottom of the bucket. The other rack is ideal for keeping the air filter under the cleaning fluid. 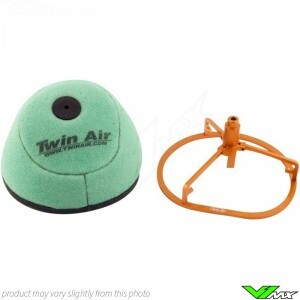 The twin air buckets are also available separately. Finally, you get a bag of 10 gloves which are perfect for replacing the air filter, replacing oil or during regular maintenance. 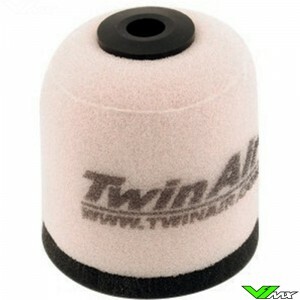 Twin Air is very popular among professional motocross teams, because of its excellent performance. Riders like Jeffrey Herlings, Tim Gajser, Jason Anderson and Ken Roczen all have a Twin Air air filter in their dirt bike. 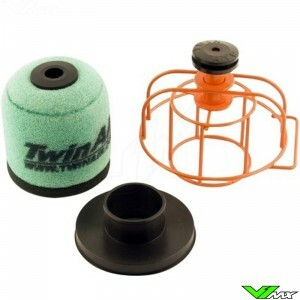 But air filters are not the only Twin Air products that are widely used in the motocross world championships. 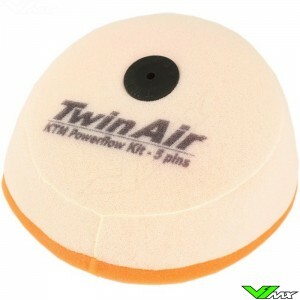 Twin Air also has a wide range of performance-enhancing components, such as powerflow kits, fuel filters and dust filters. 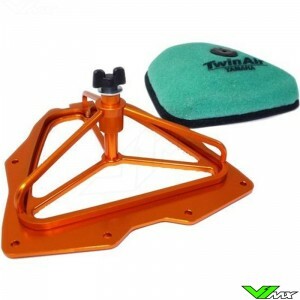 You can check out the full range of parts and accessories on the Twin Air page. More than 100 titles have been won with the air filters from the Dutch company. 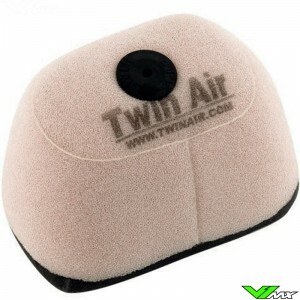 Twin Air is therefore known as ‘the choice of champions’. 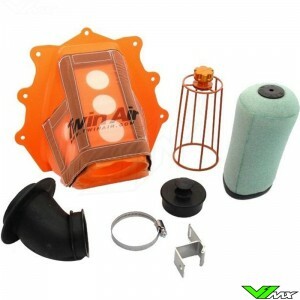 In addition, the air filters are used by many bike manufacturers. Motocross started in 1947 when a competition was organized for teams from the United Kingdom, Belgium and the Netherlands. The sport since then started to gain popularity. The Dutch sand and dunes provided perfect locations to ride, but the paper air filters offered no resistance to the loose sand. In 1972 Twin Air started to solve these problems. 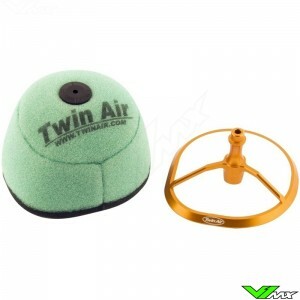 The double layer foam air filter achieved much better performance, allowing the sport to grow further. 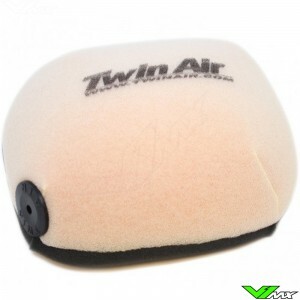 Thanks to the constant innovation and collaboration with the best teams, the Twin Air air filters the best solution for dirt bikes. 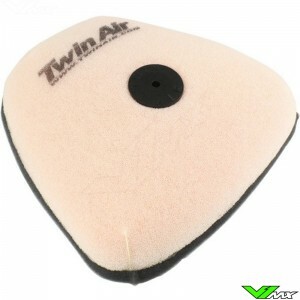 Do you want a new Twin Air air filter for your dirt bike? Then you are at the right place at V1mx. 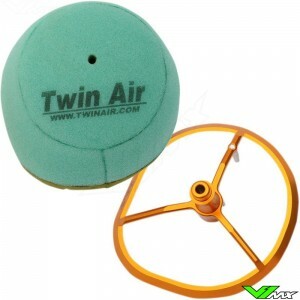 We have a wide range of air filters available from stock. Finding dirt bike parts on our website is easy if you are using the partsfinder. It is very simple, you fill in the brand, model and year of construction and click on go. After this all dirt bike parts will be filtered to fit your motorcycle. If you have questions about the parts or about ordering, please feel free to contact our customer service. We would be happy to help you.